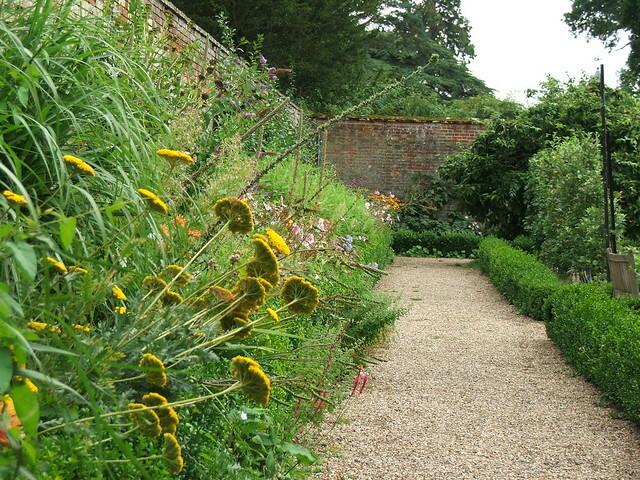 After always wanting to grow herbs in a walled garden (a long-harboured dream from the book, 'The Secret Garden'), luck, fortune and timing landed me in north Suffolk in a walled garden. Sitting in my wilderness-like walled garden gave me dreams for the future, its silence and great age inspiring ideas and answers after city life. Apart from growing herbs for my use as a herbal practitioner, I wanted to produce a herbal tea range. My affection for herbal teas had grown on my frequent visits and stays in France where ‘tisanes’ were the norm. I owe a lot to the French for my present herbal tea blends and my enthusiasm for their flavours and medicinal uses. Countless experiments with tea blends were carried out, day and night, in the tiny kitchen of my home in 1978. As still a student of herbal medicine, my efforts in that tiny kitchen taught me much instinctive knowledge of plants and showed me that the simplest way to understand herbs is to grow, eat and drink them. This basic approach has stayed with me and my enthusiasm for it has, and always will, remain. The vast living storehouse of plants in the garden made it possible to experiment with fresh material, which has a very different taste to the dried plant. The hundreds of plant choices produced dozens of carefully blended mixtures. Beyond this fresh approach, herbs were imported from their country of origin in their dried state, as in the future we knew that our own small supplies would dwindle. In fact, they did so even quicker than we had anticipated, soon making our few cropping rows quite ineffective to keep up with demand, not to mention some drying problems (produced by the sheer volume harvested) with the unpredictable nature of our summers. There has been so much pleasure gained and exchanged in the whole venture of the herbal teas at Thornham, with people healing themselves and generally attaining better health, while finding undiscovered tastes – and we know this is an endless cycle. Thornham provided a unique opportunity for marrying the growing plant with instant selling and 'people' feedback. My book ‘A Garden of Miracles’ written during the early days of herbal tea making at Thornham explores in detail many aspects of this fascinating and time-old subject. Not so much has changed 35 years later. Most of the tea blends remain from the original 1978 Thornham ideas. They are, as ever, very popular.